HOUSTON (KTRK) -- A new exhibit complex will open in January to honor the space shuttle era, Space Center Houston announced today. 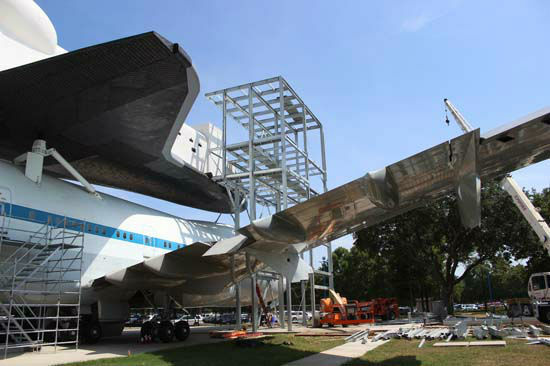 The eight-story complex, called Independence Plaza, is slated to open on January 23, 2016, and will feature a shuttle replica and its carrier aircraft, as well as numerous programs and exhibits. In a statement, Richard E. Allen Jr., president and CEO of Space Center Houston, said, "Thanks to hundreds of supporters, this incredible exhibit will challenge visitors to think about innovation and creativity." 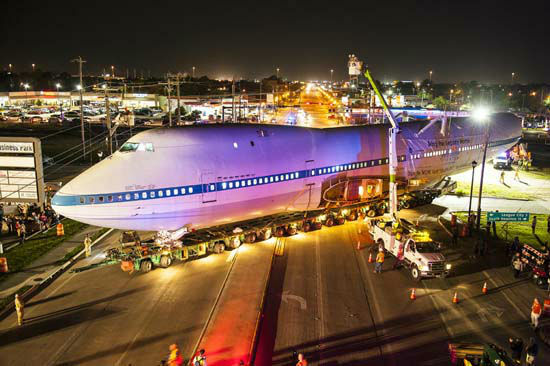 The announcement comes on the anniversary of the first free flight of a shuttle on August 12, 1977, when Enterprise was released from atop what is now Space Center Houston's shuttle carrier aircraft, NASA 905. 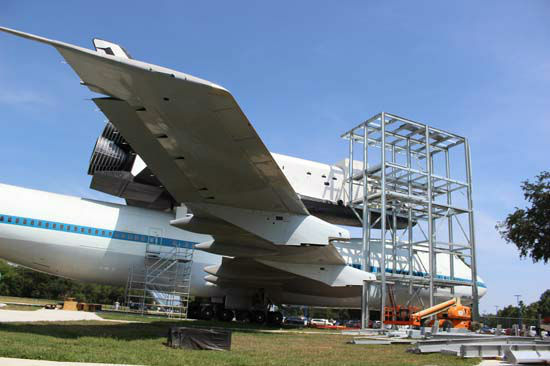 That space carrier aircraft ferried shuttles 223 times, and now carries the shuttle replica Independence. An elevator tower will take visitors inside both the shuttle and the airplane. In the shuttle, visitors will see the flight deck, mid-deck, payload bay and exhibits. The airplane will have multiple exhibits in seven different areas that explore innovation, science and technology. Visitors will also see inside the plane's cockpit and learn how the plane was retrofitted to carry the shuttle. 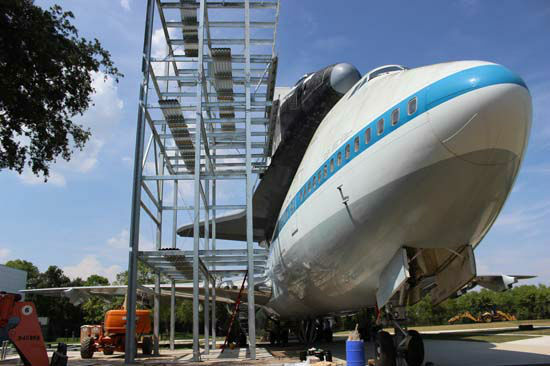 According to Space Center Houston, "The exhibits emphasize problem-solving concepts and possible career paths in science, technology, engineering and mathematics. It honors those who designed, built and flew in America's space shuttle program by recounting stories from astronauts, engineers and pilots. 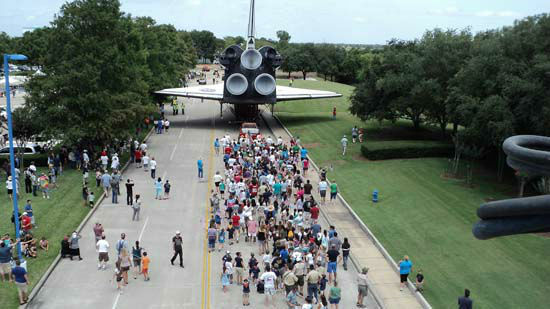 The plaza shows the key role NASA Johnson Space Center played in the shuttle's development and looks to the future at research and science happening now at NASA."